The Gladson App 2.0 upgrade makes it easier than ever to find the right fabric collection for your customer without searching through dozens of swatch books. 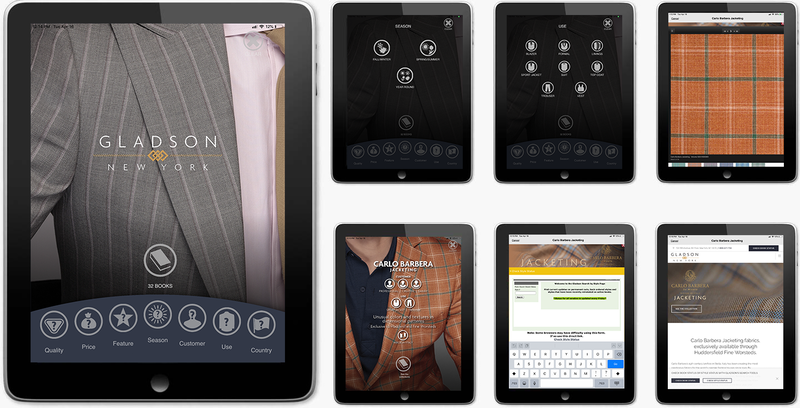 Gladson App 2.0 makes it easier that ever to check fabric availability. 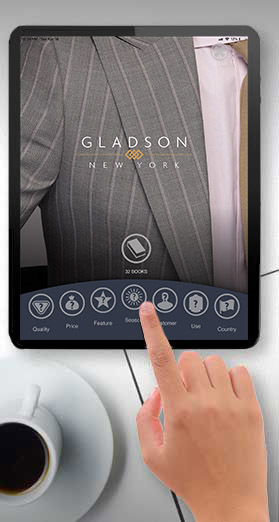 Navigate the Gladson App using our simple Fabricons™ that direct you to search, sort and find the right fabric collection by Garment Use, Season, Customer Type, Price, Quality, Feature or Country. From the App you can view all of the Gladson fabric collections, look at fabric swatches and check Fabric and Book Status. Once you have submitted the form below you will receive a unique link that will allow you to download the application. This link will only be active for 24 hours. If you miss your time period, contact us and we will send you another.